I consider myself a rookie when it comes to running a household. I have had only about 3 years of practice in our little apartment in Manila. We lived in an apartment complex where it had a large grocery store in it. I can be spontaneous with cooking dinner because I knew I was only a few steps away from getting the ingredients. Prices of grocery items there were so low. I can fill up a cart filled with a week's worth of meals for only about $50. We also lived a couple of blocks away from a 'wet' market. How wonderful it was to have easy access to fresh fish that was caught literally that morning! I had a helper who came in on certain days of the week to assist me in household chores. This meant that I was blessed to have someone do the food preparation for me. On really busy nights, there was a cafeteria located also inside the our apartment complex. It only takes one quick phone call and I have someone knocking on our door with a freshly cooked dinner. And it was delicious food. The price? Only $2 per plate! Now that we live in new city with a higher cost of living, I am starting to appreciate the importance of menu planning so that we can stay within our monthly food budget. I have been a big believer that planning is an integral part of stewardship -- God has blessed me and Robert with so much; and I want to be able to use everything He has given us in ways that give Him honor. We are currently concluded our 21-day fast. On the beginning of February, the first order of business is to stock our pantry with cooking staples. I will be planning our menu based on what is stocked in the kitchen. 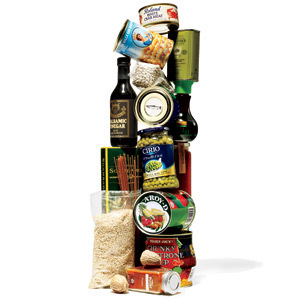 Lifestyle, culture, and dietary preferences determine what makes the 'staple pantry list.' By giving this a lot of thought, here is the list that I came up with. What is your list of pantry staples? Thanks for writing about this, I'm going to need this soon! You're welcome Liz! Glad this helped. Most budget-friendly recipes can be done from these staples. You just need to buy meat and fresh veggies from time to time. Are you moving into your own place soon? When are you FINALLY visiting Nashville? I heard it's really pretty here in the spring! here are a few of my fave bookmarked links on the topic! Love all of the resources you shared! Thank you!! !